Welcome to The Blended Blog weekly style link-up! I am Shelly from The Queen in Between where I blog about fashion and general lifestyle favorites like parenting, marriage and our daily happenings. Around here we are enjoying our final week of summer and I'm not sad about it. Going back to school means we are back to a routine and hopefully it also means the heat will begin to taper off soon. I thought today would be the perfect time to showcase a simple way to add a few fall touches to a summer outfit. A swing dress makes the perfect piece for summer in Texas as it's lightweight and isn't too clingy. Swapping sandals for booties like this Vince Camuto pair currently on sale and adding a jacket totally moves this dress straight into fall. It doesn't hurt to add a pop of color associated with fall like orange. What's your favorite way to move your wardrobe from summer to fall? 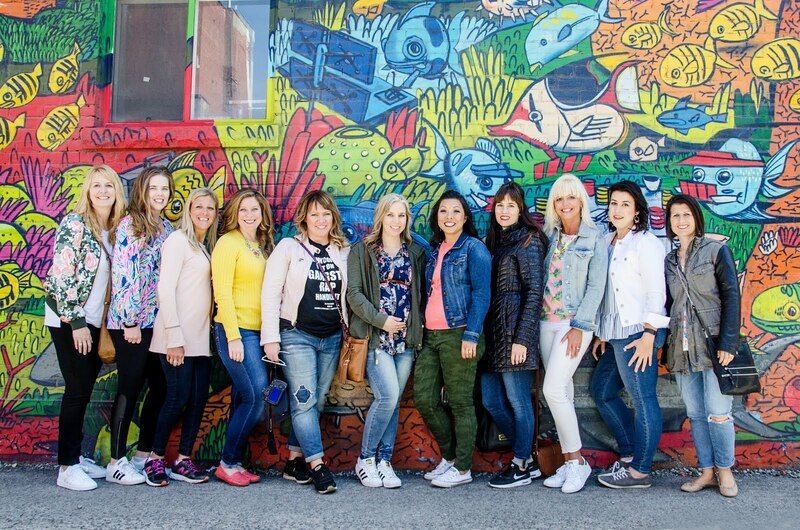 Last week the linkup was full of so much fashion inspiration. My favorite lately has been finding a beautiful outfit but also seeing a blogger share something personal along with the post. Here are the 3 most clicked links from last week! 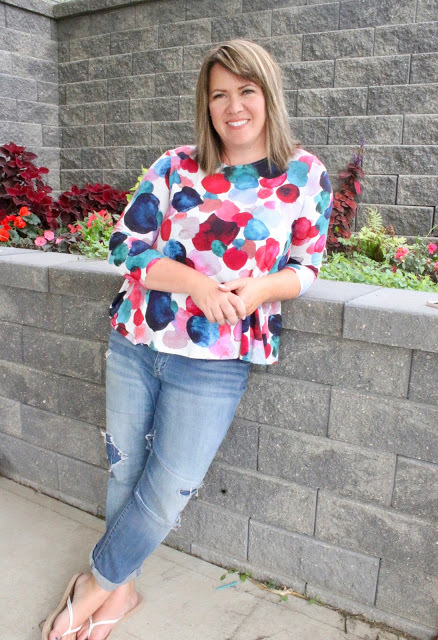 The Blended Blog's own Deena showcasing her beautiful watercolor top. Nina shared a lovely outfit along with her war on anti-aging. 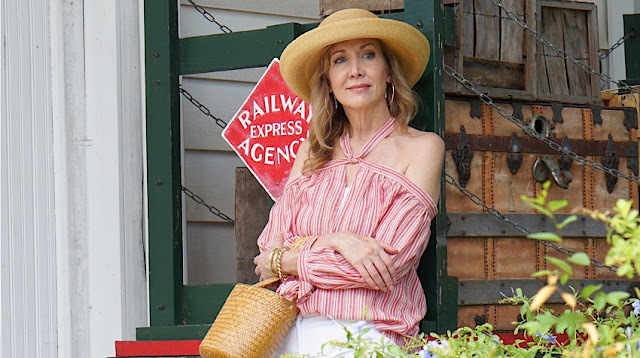 And Terri shared her lovely summer style! Now it's your turn to show us your style! Link up and you may see your look featured next week.